James Randi who is arguably the most well-known (and the most successful) individual debunker of paranormal claims and pseudoscience is the main subject of a very interesting documentary by Justin Weinstein and Tyler Measom. Titled An Honest Liar, the movie documentary chronicles Randi's journey from a stage musician to a professional debunker. If you watch BBC, you may have seen the documentary under the title Exposed: Magicians, Psychics, and Frauds in November last year. For people who are not too familiar with Randi and what he does, An Honest Liar makes for a great introduction into his work. Running for an hour and a half, the documentary discussed Randi's most well-known antics such as his shaming of televangelist Peter Popoff on national television, his numerous take-downs of the Israeli spoon-bender Uri Geller, and the elaborate hoax he perpetrated around a made-up spirit channeler named Carlos. Several well-known people (mostly magicians, skeptics, science educators) make an appearance on the documentary. The rock star Alice Cooper was interviewed about the stunts that Randi cooked up for him. Adam Savage of Mythbusters fame, writer and science educator Michael Shermer, and magician Penn Jillette were also around to give their thoughts on Randi's work. Bill Nye the Science Guy got onscreen to say "James Randi is in love with the truth." A still from the documentary An Honest Liar. It's a well-made documentary that can be very fascinating if you are interested on things like skepticism, debunking paranormal claims, and fighting pseudoscience. Around halfway through the documentary, the focus got directed more on Randi's personal life, most especially on his relationship with his long-time partner Jose Alvarez. 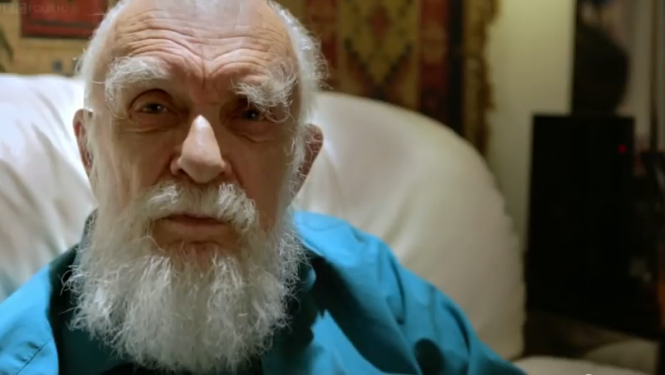 This abrupt change in the flow of the documentary can disinterest some people but if you are one who wishes to see a more personal side of the Amazing Randi, it's definitely worth seeing. You can watch the official trailer for An Honest Liar here. It's unlikely that the film will be screened in theaters near you so check out the film's official website to learn more on how you can see it.